-The Celtics 16 game winning streak ends. -This is how you bounce back from an embarrassing home loss against the Pacers. -Of course, the Celtics made their late game run as expected. Miami led by as many as 18 in the first half, before the Celtics went on a 16-2 fourth-quarter run to lead to 91-90 before Waiters took over in the end. -Now, it's about being more consistent. -We seen Miami have games where they look like they can make some noise in the East. And then, they would turn around and have games like Sunday's loss against Indiana where there's no effort. -Hopefully, this time will be different when the team plays Friday against Minnesota, the start of the Heat's four game road trip. During that road trip, the Heat will also face two familiar faces in Dwyane Wade and Lebron James. -After having a scoreless game against the Indiana Pacers, Waiters bounced back with 26 points (8 in the fourth) to go along with six assists. -His back-court partner Goran Dragic had a great night tonight. The Heat point guard had a team-high 27 points on 8-of-17 shooting and got to the line 10 times. Surprisingly, tonight was the first time he went to the line in the past four games. He also added five rebounds and four assists in 31 minutes. -The Heat did a great job managing Goran Dragic's minutes tonight. To keep him fresh, the Heat would sub him earlier in the first and third quarters before bringing him back in. 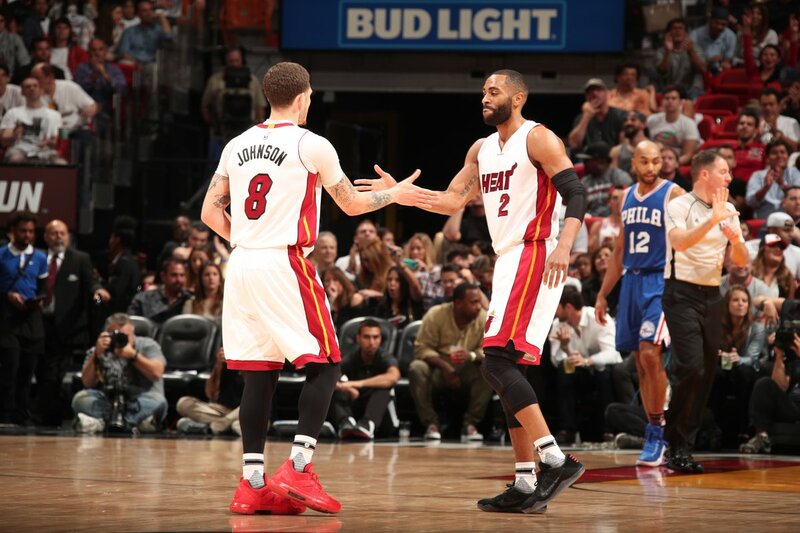 -Tyler Johnson and Wayne Ellington provided much needed scoring off the bench. -Wasn't a big scoring night for Heat center Hassan Whiteside, who finished with 8 points. Although he did a much better job screening for the Heat guards. -Josh Richardson is still searching for his outside shot. -Look at K.O. showing some hops.